The Seamless paperless solution delivers fast, efficient, visible and measurable improvements in managing the process of client contracts. This results in improvements in sales team productivity and the customer’s experience, while delivering substantial savings in time and cost to the dealer. Seamless technology is a back-end computer program that facilitates a superior user experience through a single user interface removing the inconvenience, complexity and time lag of multiple independent systems, which are mostly paper-based. Within the automotive industry, the greatest frustration customers and sales teams suffer is the slow, complex and repetitive process of completing and managing contracts, which are often reprinted several times. This has a huge impact on the time taken to process deals and the overall customer experience, not to mention the cost of thousands of reams of paper each year along with storage costs and auditing costs. 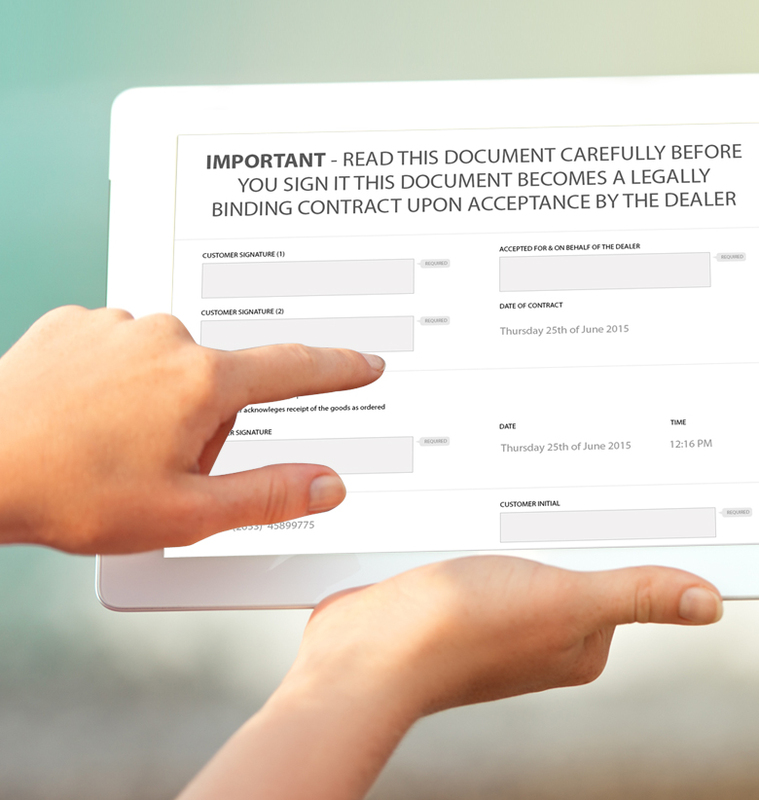 Customers can have their signed paperwork emailed to them immediately which not only makes the transaction process quicker and more convenient. Seamless offers the opportunity for dealers not only to decrease expenses but also to reduce record storage and return floor space to more productive tasks. Dramatically reduce the time spent by sales teams on paperwork, but also increase accuracy and decrease the chances of the paperwork becoming lost. Instant 24/7 access to signed documents from anywhere while also completely removing the need for administration teams to scan documents into their own database. 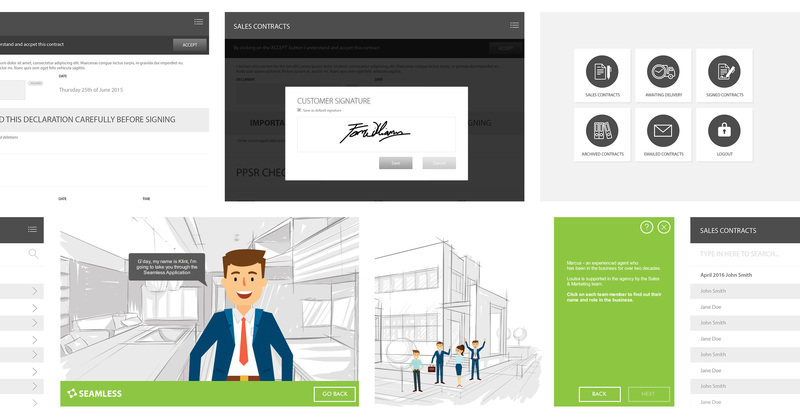 Seamless provides the opportunity for signed documents to be shared instantly and removes the need for printers, postage and scanning. Contracts are vital in closing deals in any organisation. They can take up a lot of time and resources, impacting overall performance and productivity. Using the Seamless application, you can provide a better end-to-end experience for all stakeholders involved. Seamless will enable you to process deals more efficiently, while also lowering costs, improving processing times and enhancing the customer’s experience. Generally, sales teams receive detailed comprehensive once-off face-to-face training on how to complete a contract with a customer. With Seamless, sales and admin teams will have 24/7 access the Seamless Learning & Communications platform to learn and understand the process required for accurate completion of sales contracts.